For wine lovers and oenologists, or those that just like a drink, Portugal has some truly beautiful wine hotels for you to stay in. 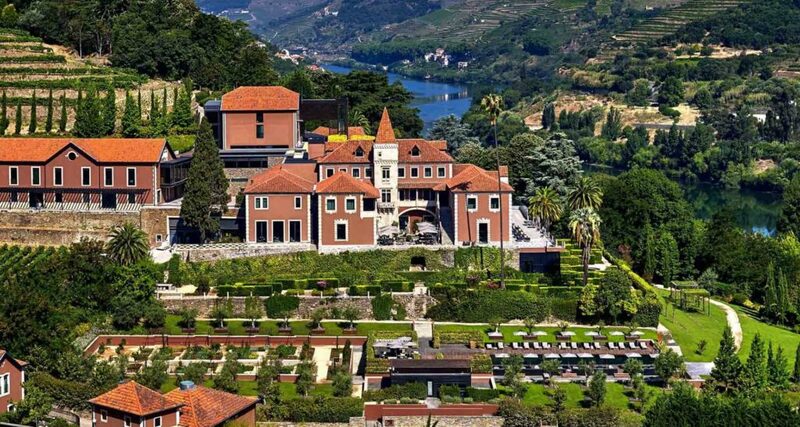 The majority of these are in and around the Douro wine region in Northern Portugal and the Alentejo but, as wine tourism grows in Portugal, wine hotels are opening up in almost every wine region across Portugal. These hotels combine luxurious features with gorgeous vineyard views, and often great quality food as well. They’re perfect for a romantic getaway, milestone birthday, or for those that want to experience the Portuguese countryside in style. The Douro is Portugal’s most famous wine region, and is home to some of Portugal’s best wineries and some of its best wine hotels as well. 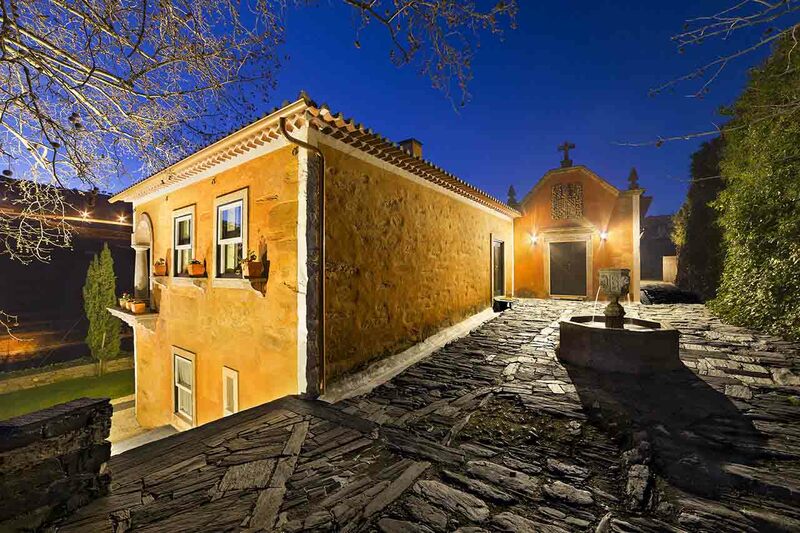 With incredible views of the sloping terraced Douro vineyards, this beautifully-renovated 19th Century manor house is the perfect place to come and relax and get away from it all. As well as beautiful views, Six Senses Douro Valley also has a spa with an indoor and outdoor pool, fitness centre, and on-site restaurant that uses local ingredients and flavours to create modern Portuguese dishes. The hotel’s spa also offers a number of citrus and grape-based massages and other treatments. 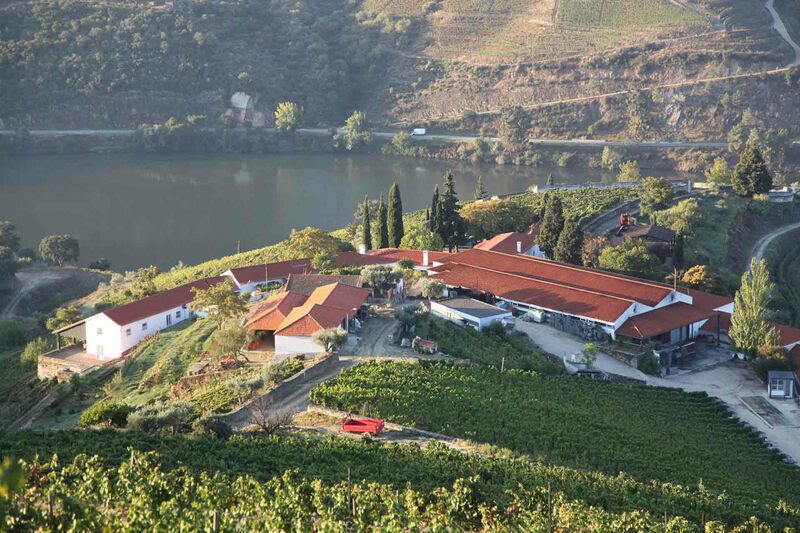 Although technically not a wine hotel, the Vintage House Hotel is perfectly located in the heart of the Douro Valley. Charming and comfortable, it has fantastic views of the nearby vineyards and has been beautifully restored to its 18th Century glory. Amenities include a riverside swimming pool, a library bar with beautiful wooden-beamed ceilings, and the onsite Rabelo restaurant. Bottling wines under its own brand since 1738, Quinta da Pacheca is one of the best known wine labels in the Douro region. The onsite Wine House Hotel is set in an 18th Century building that has been lovingly restored to showcase its beautiful original features. The onsite restaurant prepares traditional Portuguese dishes using locally-grown ingredients. 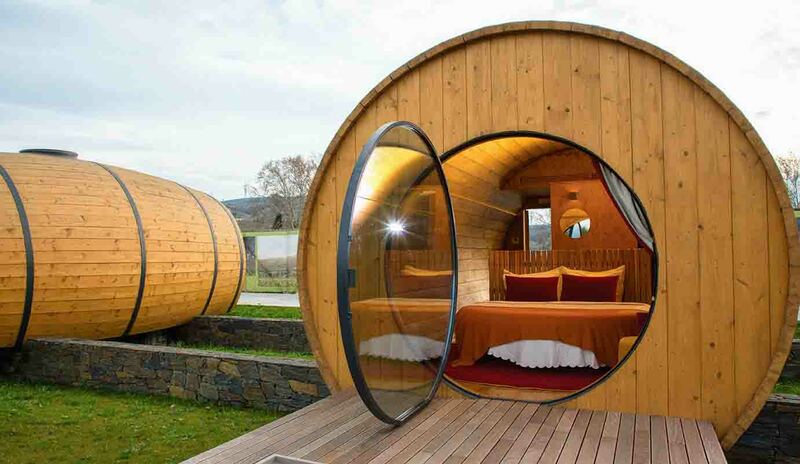 Alternatively, instead of staying in the hotel itself, you could stay in a pod made out of a wine barrel. With truly incredibly views of the Douro and the estate’s 120 hectare grounds, Quinta Nova is paradise for wine lovers. The small luxury hotel offers 11 beautifully-decorated rooms that look out over the river, and are furnished with comfort in mind. A working property and family-owned vineyard, Quinta de la Rosa has 21 simple and tastefully-decorated rooms that provide a perfect base to explore this beautiful part of Portugal. The hotel has been running since the 80s, and has a friendly and personal family-run feel. Amenities include a swimming pool, marked vineyard walks, olive oil tasting sessions, and a small library and sitting room. Established in 1716, Quinta do Vallado has produced Port wines with Ferreira Port House and, more recently, has extended their business to produce their own label wines as well. Even more recently, since 2005, Quinta do Vallado have opened up their vineyard to guests. The design hotel is modern in its appearance, designed to take advantage of the spectacular views of the nearby vineyards and Corgo River. Amenities include a swimming pool, hot tub, a massage service, and sun terrace. Wine tastings are held daily, and guests can also enjoy the nearby hiking and cycling routes or try their hand at fishing. 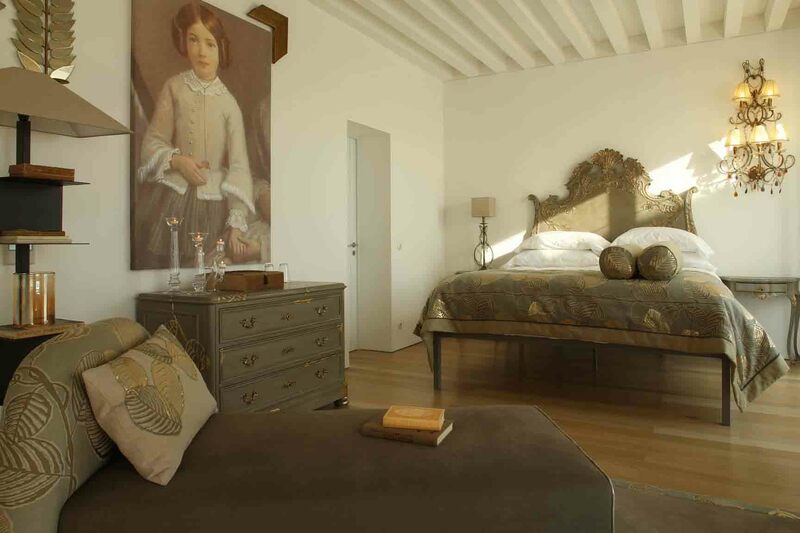 A small, boutique hotel situated in the heart of the Douro, Casa das Pipas has been elegantly renovated to showcase the property’s original features. The property has 12 rooms, which face south, as well as a wine library, wine shop, swimming pool, and fitness centre. The hotel offers guided tours of their cellars as well as wine tasting sessions. Port is the where Portugal’s most famous wine, Port, is produced. There are no vineyards in the city centre, but there are still a few hotels that would be perfect for any wine lover. Established in 1790, Sandeman is the oldest Port brand in the world and its logo is famous in wine circles worldwide. 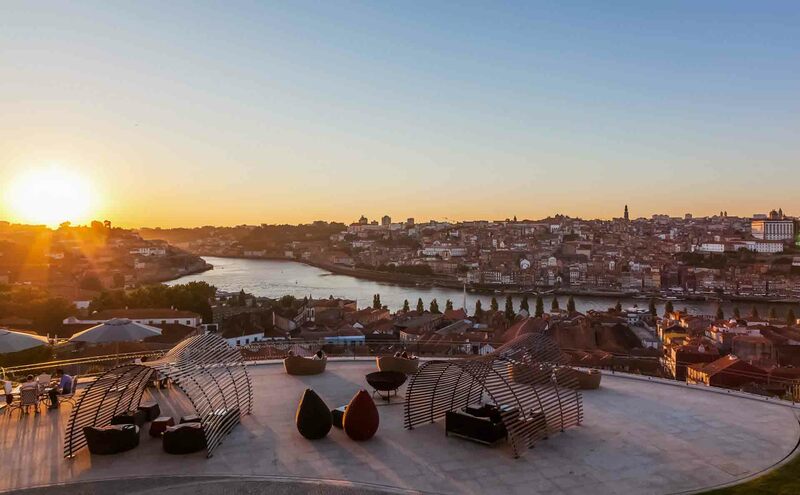 Recently, Sandeman has also begun offering boutique accommodation at its base in Vila Nova de Gaia. The rooms have a boutique and classical feel to them, and offer beautiful views of Porto and the Douro river. There are several double rooms, as well as several dorm-style rooms with beds that have been crafted from old port barrels. 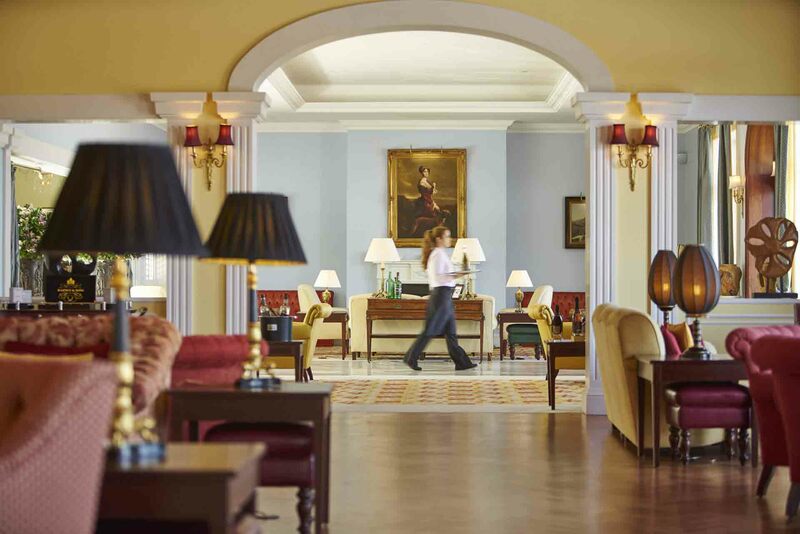 The Yeatman offers luxurious hotel accommodation for wine lovers visiting Porto. Each room is individually decorated and has fantastic views over the Douro river. Several of the master suites, like master suite 411 and master suite 414, have been decorated in partnership with Taylor’s Port, and several of the suites have beds made from old Port barrels. Hotel amenities include a gastronomic restaurant and a vinotherapie spa, with an indoor panoramic infinity pool, that offers grape extract massages and treatments. 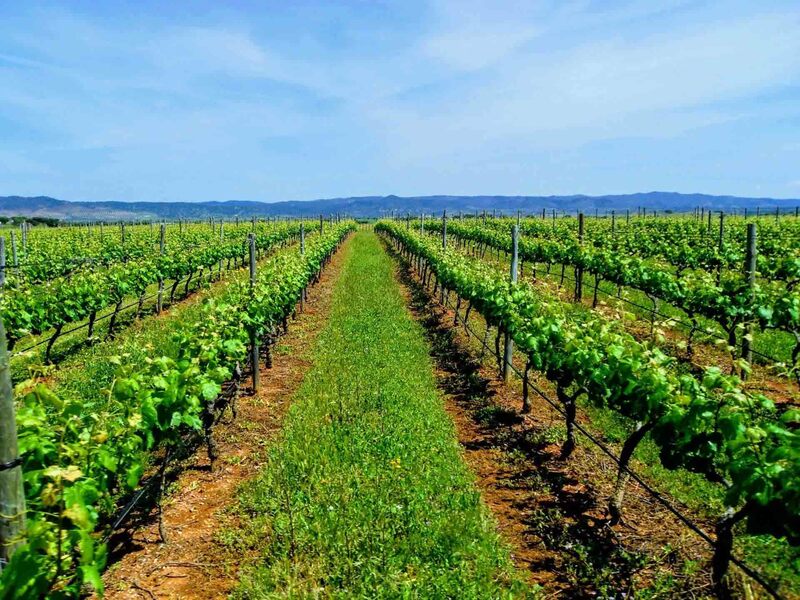 Although nowhere near as popular as the Douro or even Alentejo for wine tourism, the Vinho Verde region is a part of Portugal that’s very much up and coming. Staying at one of these hotels give you a fantastic opportunity to try one of Portugal’s best wines, the vinho verde, in its home territory. Located in the Lima Valley region lies Quinta do Ameal, a small wine producer that makes wine from the Loureiro grape. The wine makers have recently embraced enotourism, refurbishing buildings on the grounds and transforming them into high-quality self-catering accommodation. 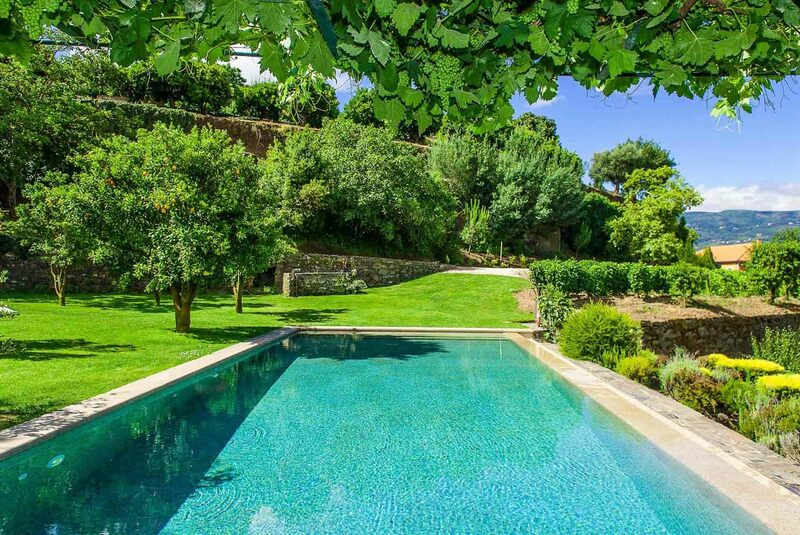 Facilities at Quinta do Ameal include an outdoor swimming pool, and there are plenty of activities that you can take part in near the property including kayaking, mountain biking, and walking. An eco-friendly and carbon neutral design hotel with a fine-dining restaurant, Monverde is one of the biggest names on the Portuguese wine hotel scene. Home to the Quinta da Lixa estate, this luxury hotel has 15 guest rooms and facilities that include a wine bar, indoor and outdoor swimming pool, and spa with grape seed treatments. The Altentejo region is a wine region that’s beloved throughout Portugal, and known for producing some of Portugal’s best wines. It’s also home to some great hotels and guesthouses that are the perfect base from which to explore this rural part of Portugal. One of the most beautiful historic hotels in Portugal, the Torre de Palma Wine Hotel dates back to 1338. Combining traditional features with modern design, this boutique hotel has been tastefully restored into one of the Alentejo’s most beautiful. Facilities include both an indoor and outdoor swimming pool, a spa and wellness centre, an onsite restaurant, library, and guest lounge. A rural manor with a panoramic swimming pool, Herdade da Malhadinha Nova offers contemporary-themed accommodation in the heart of the Alentejo. As well as the panoramic pool, facilities at the design hotel include a spa with a hot tub, hammam, and free bicycle usage. As well as cycling, other activities nearby include horse riding, hiking, and canoeing. Situated on a 1700 acre estate, the Herdade dos Grous vineyards are the perfect hideaway for a relaxing stay in the Alentejo. The hotel has 24 rooms, and each is furnished with a blend of traditional and modern characteristics. Some rooms have their own fireplaces, ideal if you’re visiting the Alentejo for a romantic break. Facilities include a restaurant and wine bar, and the spacious grounds are made up of beautiful gardens and an artificial lake. Located just 4 km from Évora, this 5-star hotel offers luxurious accommodation in a former 15th Century convent. Facilities include a piano bar, restaurant, tennis courts, indoor and outdoor swimming pools, a fitness centre, and a spa. With 92 rooms, including 5 suites, Convento do Espinheiro is a popular location for weddings and other large functions.